Living on caffeine, little sleep, and chocolate has been in vogue in the United States. Work work work, and no play. In fact, researchers have found that people work more and relax less in the United States, and take less time off. All this work and little time off for personal time has resulted in more stress, higher rates of burnout, and increased anxiety and depression. As a result, self care is becoming increasingly important in our society. We like to think that it’s the new trendy thing to do. You now, it’s the new black. Do you find that you are tired at the end and the beginning of each day? Are you easily distracted and find it difficult to get much accomplished? Are you consistently putting the needs of those around you before your own? Sounds like you are in need of some simple ways to care for yourself! 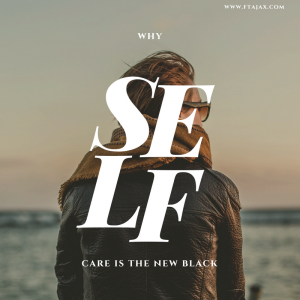 There are several benefits of self care, such as helping you to avoid burnout, reducing the negative impacts of stress, and helping you refocus. Have you ever listened intently to the flight attendant give the safety instructions? It is very true that you should put the oxygen mask on yourself first before you help those around you. If you do not give yourself care, you will not be able to manage all of your responsibilities in an effective manner. It is important to take care of yourself to reduce the chance of burnout, help manage stress and to help you refocus your mind, body and energy to what is most important to you. More often than not we will put off a self-care activity as a reward for meeting a deadline, accomplishing a goal or for “making it through” the week. However, this mentality forces you to work, care and love on empty. Taking care of yourself needs to be a part of the process rather than a reward for getting through the task in front of you. The easiest thing to do when you are stressed or overwhelmed with life is to hit the take out window or have a pizza delivered! This is easy, right?! However, if we fuel our bodies with nutritious food we will feel better and perform better on the whole. Also, exercise is a time commitment and it can be difficult to fit it into an already busy schedule. However, this is a great way to manage stress, clear your mind and have renewed energy. Make it as easy as possible to make it happen; enlist a buddy, find a gym on the way home or close to work, and pack a gym bag. This may sound pretty self-explanatory but oftentimes when we get overwhelmed, frustrated or angry we feel the need to just work through it. However, it is important to stop, identify the feeling (you may use a feeling wheel here, if needed), and then take a break to experience your emotion fully. This helps to keep your emotions from completely taking over or getting out of control and presenting in a way that is unintended. Protect your time at all costs. If you are working 50, 60, or 80 hours a week, research has shown that you begin to be ineffective. Schedule your responsibilities, then schedule empty time in case something takes longer than intended, and learn to say no. Put in time on your calendar for family, friends and most importantly you then protect that time just as much as you would an important meeting! You are important enough to spend the time on and you will find that you are more able to do the things you need and want to accomplish! Ask yourself, does this really matter? There are times that it feels good to be busy but at other times, being productive means clearing your schedule. In an effort to achieve your goals, look at what is one thing that you want to get accomplished each day. This way, it is easier to stay on task and keep what is important in focus. Your money is also like your time and we can spend it aimlessly which can lead to added stress. So, it is important to have a budget with a purpose. Set a goal and make a budget to help you accomplish this goal. This will help you feel like you are more in control of your present situation. One valuable way to help yourself is to seek counseling so, give us a call and we will work to get you in a better spot. You can’t pour from an empty cup! Our therapists, April Evans, Ida Holem, and Kristen Montiel specialize in creating boundaries with your time, creating work/life balance, and managing anxiety or depression.